Since Superstorm Sandy, insurance leaders are becoming increasingly aware of the benefits of sustainable building. The insurance industry conjures up images of old guys wearing suits and fighting anything that threatens the status quo. But perception isn’t reality when it comes to the insurance industry and climate change. Since at least the late 1980s, insurance providers have expressed public interest in discovering whether there’s a link between global warming and increases in catastrophic storms, according to a study conducted on behalf of the Insurance Information Institute (III). Why? Because providers fuel their business by accurately predicting risk. And many don’t like what they hear. For example, Karen Clark Co., a Boston-based risk-assessment consultant, predicts that top hurricane wind speeds could increase up to 5 percent because of climate change. Such an increase could result in up to 40 percent in additional property insurance losses. In 2007, a group of leading insurers from North America, Europe and southern Africa formed ClimateWise, which tries to raise awareness about the economic risks associated with climate change. Its principles include influencing public policy, incorporating climate change into members’ investment strategies and reducing the environmental impact of the industry. One of the most outspoken U.S. carriers on climate change is one of the oldest. The Hartford, although it’s not a ClimateWise member, has gone on record with its concerns about the issue. The insurer regularly trumpets environmental causes and calls for stricter coastal development standards and forest-management policies, among other measures designed to combat greenhouse gases. The company doesn’t just talk, however; it also institutes environmentally friendly practices on a corporate level. What kind of practices? About 4,000 employees work remotely, reducing how much they drive annually. It also has installed electric vehicle charging stations at all its locations in its home state of Connecticut. For customers, The Hartford offers discounts to policyholders who have hybrid or electric cars. For those and other efforts, the company has been recognized for five years by the Carbon Disclosure Project. Newsweek last year proclaimed it the 14th greenest U.S. company. The Hartford is far from alone. The Reinsurance Association of America – reinsurance is commonly defined as insurance for insurance companies – is a Washington, D.C.-based trade association for property and casualty reinsurers that operate in the U.S. It has consistently warned about the potential effects of climate change, and President Frank Nutter recently made a public service announcement for the Environmental Defense Fund. Home insurers also increasingly are adopting practices that reward policyholders for working toward sustainability. For example, one of the major tenets of Leadership in Energy Environmental Design (LEED) certification is having 75 percent of a building’s roof covered with recycled materials such as aluminum or steel. These metals are reflective, which helps with energy efficiency; they also are some of the most durable materials used in roofing, especially when it comes to wind and hail damage. In addition, both metals are fire-resistant. Those factors make sustainable roofs a good deal for insurance providers, which means homeowners could qualify for preferred (and lower cost) home insurance policies. In some states, particularly those at risk for wind damage, providers offer discounts to policyholders who upgrade their roofs with sustainable coverings. Another way insurers are reaching out environmentally is by offering coverage that, in the event of a covered loss, will pay for repairing or rebuilding a home with green materials and practices. 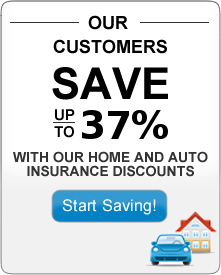 Auto insurance providers also reward green activity – sometimes in ways that aren’t so obvious. Many providers in addition to The Hartford offer green discounts of up to 10 percent for electric or hybrid cars. In addition to environmental concerns, there are sound business reasons for this price break. The cars are heavier than traditional vehicles, which makes them safer. Green cars also, for now, are less attractive to thieves, which makes them a better risk for insurance providers. In addition to price breaks on premiums for electric and hybrid cars, some providers give discounts for vehicles using other gasoline alternatives. Another emerging trend is the pay-as-you-drive policy. The number of miles you drive – based in part on your daily commute – always has been part of the algorithm for setting car insurance premiums. But new technology is taking the calculation a step further. Some insurers now offer telematics devices that report on the vehicle’s mileage and hours of operation, as well as such information as your speed and braking patterns. Other insurers rely on devices that report mileage only. In either case, premiums can be adjusted if you cut down on your mileage – a goal that’s shared by conservation proponents. Here’s why it could matter: The National Association of Insurance Commissioners predicts that in five years, about 20 percent of insurance policies will be pay-as-you-drive – up from about 1 percent today. So think again about your image of the insurance industry. Few sectors have embraced sustainability the way it has. The fact that sound business reasons guide its efforts should be a selling point as other industries consider the impact of climate change. 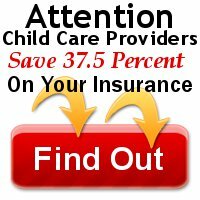 This article was written by Arthur Murray, a contributor to the HomeownersInsurance.com blog. 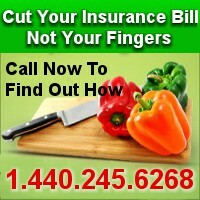 HomeownersInsurance.com is a resource center for insurance consumers and homebuyers across the country.